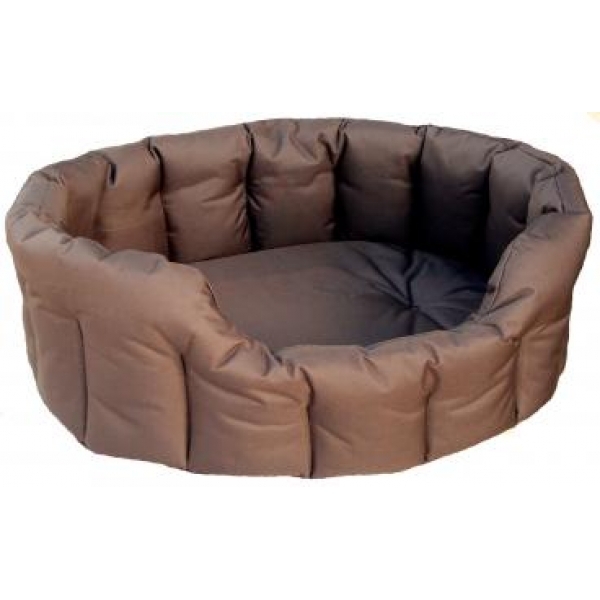 A heavy duty waterproof dog bed designed for those country dogs that like to get wet and dirty on a regular basis. The heavy duty 100% polyester waterproof material allows easy cleaning. The Country Dog Oval Bed comes with a removable cushion, allowing separate cleaning. The bed is filled with a thermal polyester fibre so along with the added cushion and high sides, your dog can stay comfortable, cosy and warm.